Even though brain injuries seem to be a lot more common, spinal cord injuries on their part are incredibly traumatic and severe. The city of Barrie abides by the provisions set forth in the state of Ontario, under which spinal cord injuries derivative from accidents are entitled to compensation. This is only fair because recovery is incredibly hard and sometime even impossible. The consequences of spinal cord injuries are grave and ominous and there is a high chance that the person is going to experience pain and suffering to some extend for the rest of his life. This also means that the lawsuits of this particular kind are often accompanied by huge claims for non-pecuniary damages, which is only logical. Why spinal injuries call for higher compensation? 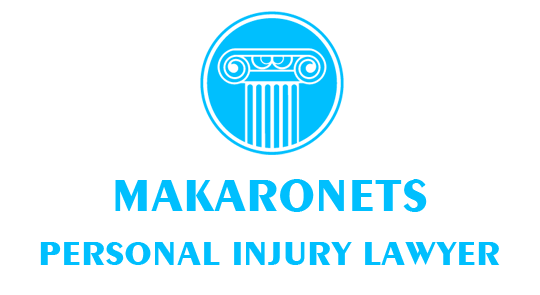 However, in order to be able to file for an injury of this kind in the city of Barrie, it’s important to be aware of the specifics. Spinal cord injuries would usually happen when the spine is actually damaged. This could be caused by a fracture or by a dislocation. These particular injuries are especially harmful because the spine is the body part which controls especially important functions of your body such as the movement and walking. This is why people who suffer from these kinds of injuries are often required to adhere to a variety of different adjustments to their lifestyle. Another direct consequence from spinal cord injuries which is incredibly relevant to the area of personal injury law is the lost working ability. This is due to the fact that the injury has rendered the victim unable to provide the same amount of workforce. This of course leads to a reduced payment which causes a direct loss of income. Interestingly enough, the Family Act of Canada empowers family members to file for loss of income, as it is considered a pecuniary damage. The solution is once again fair. The reason for this is that the person who suffered the injury might have been the one who was mainly providing for his family. Now that he is unable to work, the family members are also affected which gives them the right to file for compensation. The amount of it should be the difference between the received income prior to and after the accident or the cause for the injury. All in all, spinal cord injuries are incredibly important to the subject of personal injury. This also means that they have to be properly understood. This is related with a lot of in-depth and sound knowledge of the particular matter and it requires the understanding of complex medical terminology. This is why lawyers in Barrie tend to spend a long time understanding different medical statements and expertise. This makes it equally more important to hire the lawyers that specialize in such cases.